Kérastase's Chronologiste hair care range combines the most precious active ingredients in the highest concentrations ever. Enriched with Abyssine, Gluco-Lipid GL, Bisabolol, Vitamin F, Vitamin E, Ceramids, Caviar Concentrate and Cationic derivatives, this line intensely nourish the hair from scalp to ends! This shampoo has a thin consistency, I usually prefer a thick formula but it's not too runny either. It lathers nicely and cleanses my hair well without drying it out, even if I used a lot of hairspray and other styling products. It makes my hair feel super soft and it gives a little more body! 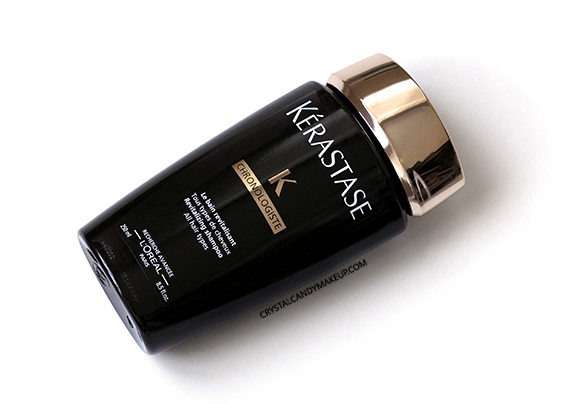 Compared to my favorite Kérastase shampoo (Bain de Force Architecte), this shampoo is a tad less moisturizing and has a tendency to leave my hair more tangled, but the Chronologiste Crème de Régénération is very nourishing and detangle my hair easily! 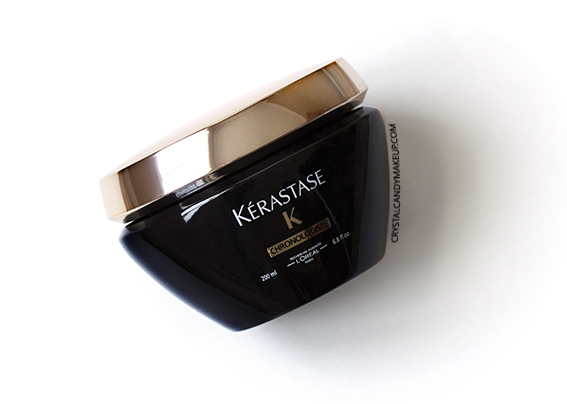 Yep, another Kérastase hair mask! They have so many hair treatments now, it's becoming harder and harder to choose a favorite! 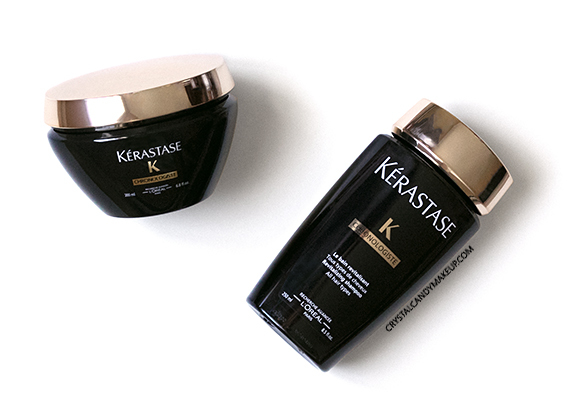 The Chronologiste Crème de Régénération is suitable for all hair types, this is the one I would recommend if you just don't know which Kérastase mask would work for you. This cream is thick and rich, it moisturizes without weighing my hair down. My hair is sleek, shiny and soft! The Discipline Maskeratine Masque is still a bit more effective to control frizz, and the Masque Thérapiste is better if your hair is very damaged, but both treatments feel a bit more heavy than the Chronologiste Crème de Régénération.